Lionsgate Home Entertainment has added A Most Violent Year to its release roster, scheduling a Blu-Ray and DVD version of the gripping drama for April. Powerful performances by Oscar Isaac and Jessica Chastain lead this gritty story of crime and corruption in ’80s New York City. Abel Morales has a lucrative oil-delivery service. But on the eve of a huge business deal, he is snared in a web of danger and deceit. Beset by rivals who want his business and a D.A. who wants to take him down, Abel is driven to desperate measures to save his company and protect his family. The gangster-filled crime-thriller will arrive with a Commentary Track by Writer/Director J.C. Chandor and Producers Neal Dodson and Anna Gerb, and a selection of Deleted Scenes. 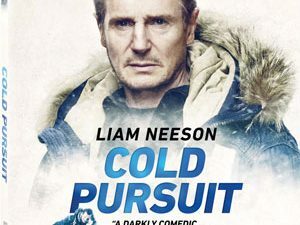 In addition, you will also find the Featurettes “Behind the Violence” and “The Contagious Nature of Violence: The Origins of A Most Violent Year” on the release, as well as A Conversation with Jessica Chastain and Oscar Isaac. Also included on the release are “Inner City Crew” Outtakes and the Public Service Announcement “We Can Cure Violence”. 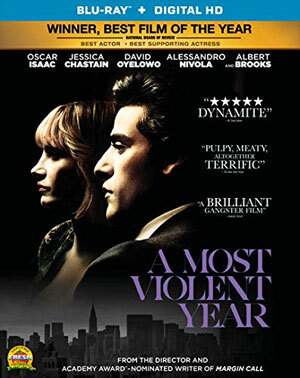 “A Most Violent Year” will be available in stores on April 7 for $24.99 on Blu-Ray Disc and $19.98 on DVD.